On Memorial Day, I joined in with tens of thousands of amateur and professional joggers, rollers, runners, and walkers of all abilities for the Annual Bolder Boulder 10k race – one of the largest running races in the world. Of course, I wasn’t the only person associated with Imagine! to take part in the event. This year, as in years past, many individuals who receive services from Imagine! came out to participate as well. Some needed assistance from caregivers and friends to walk or jog, while others pushed themselves for a new personal record. 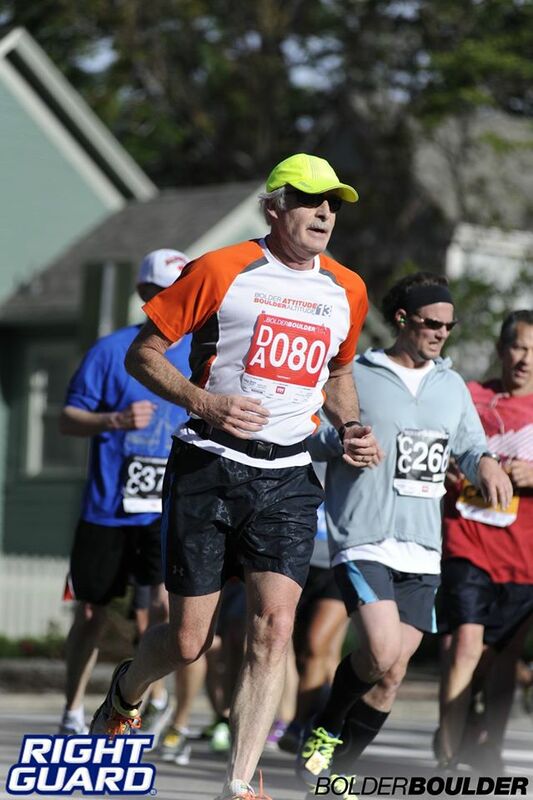 Here are a couple of fun stories from Imagine!-associated 2015 Bolder Boulder participants. 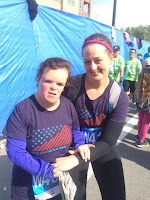 First, here is the race day experience of Cari, who accepts services from Imagine!, submitted by her team. Cari and her team walked to the starting line, and “bam” the starter’s pistol fired and the race began. We walked the first mile with the many other racers. There was lots of fun music and cheering along the course! Then we broke away from the race course to cut through town a bit. Eventually, we made our way back to the course for the final 2 miles of racing. We were way ahead of schedule, so we met up with Cari's parents and enjoyed a short break and snack. Our plan was to keep racing after our snack, but our feet were beginning to hurt. Fortunately, our friend Mike met us with a wheelchair, and Cari was able to finish the race. Cari was very proud when we got into the stadium and we really enjoyed all of the people cheering us on. When the race was finished, Cari and her team had walked a total of 3.5 miles, which is further than the usual 5K race! We picked up some post race snacks and watched the Memorial Day professional race and closing ceremonies. Cari seemed to enjoy the music and the traditional stadium fly-over of military jets most of all. And here is a story submitted about Kam and Ryan (who receive services from Imagine! ), and their race day experience, and training for the Bolder Boulder with Beyond Limits. On the path where we did a lot of our training lived a family of owls, so every week walkers and runners alike would run or walk past the tree to hear the chirps and to check in on the baby owls. Ryan really enjoyed seeing the owls, and he would talk about how cool they were on many of our training runs. On race day, our team was amazed to hear the cheers of the many strangers encouraging each athlete along the race course. As we came in to the stadium filled with people, Ryan said, "They are all cheering for me." Ryan was really proud that he beat his time from last year by more than five minutes and Kam was equally impressed that he beat his time from last year by almost eight minutes. Everyone from the team, including many of the runner’s coaches, parents, guardians, and Host Home providers, gathered in the stadium to enjoy the post-race festivities. The group pride was intense from all who had trained and raced as a member of the Beyond Limits team.